ELECTORAL COLLEGE: Is Buttigieg really that clueless about the intent of the Founding Fathers?! He said he would support a Constitutional amendment to abolish the Electoral college and mentioned former Indiana Senator Birch Bayh’s (D) efforts to amend the Constitution to abolish the Electoral college. After President Donald Trump’s election, prominent Democrats like Hillary Clinton and Rep. Alexandria Ocasio-Cortez (D-NY) have been more vocal about getting rid of the Electoral College. “You won’t be surprised to hear that I passionately believe it’s time to abolish the Electoral College,” Clinton recently wrote in op-ed for the Atlantic. Ocasio-Cortez even linked the Electoral College to slavery when she said last year that it is “well past time” to eliminate the Electoral College. “It is well past time we eliminate the Electoral College, a shadow of slavery’s power on America today that undermines our nation as a democratic republic,” Ocasio-Cortez tweeted last year. 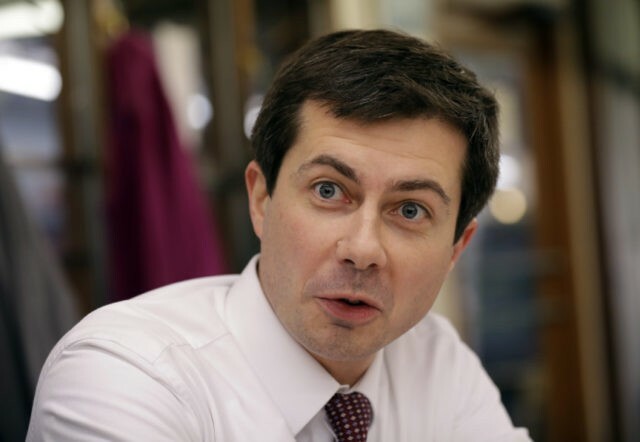 As Democrats running for president try to race each other to the left, Buttigieg also said he was for single-payer health care and told Yahoo News that he wants to “make every home in the United States a ‘net zero’ energy consumer” by having the federal government retrofit homes with solar panels. “Uncle Sam is gonna mail you a kit,” he reportedly said. But when speaking about job retraining programs, he sounded a bit like former North Carolina Senator John R. Edwards (D) in the 2004 presidential primaries, reportedly telling Yahoo that some Democrats do not understand that their “well-meaning” job-retraining rhetoric may not go over well with blue-collar workers.